Your romantic adventure in Ireland begins as soon as you step off the plane. Whether yours is a passionate getaway with a new and blossoming love or the mark of a relationship, which has long been in bloom, Ireland and its many treasures are sure to bring romance at every turn. Ireland and romance go hand in hand. This proud and passionate nation has through the years produced some of history’s most beautiful poetry and literature. It is the breath-taking scenery that fills so much of this fair isle that inspired many of our greatest writers, as well as the charming people who they fell in love with and Ireland’s magical folklore. Now it’s you’re turn to be inspired. As you pick up your car and make your way to your first night’s accommodation in Clare, let the thrill of your adventure take over. Ireland’s beautiful scenery has long been the inspiration for many writers and poets; and its shores have nurtured the bond of many star-crossed lovers. This is your first chapter in Ireland’s magical west. So take each other hand in hand and venture into the rugged beauty of Clare’s Burren region. Gaze out upon the wondrous expanse that is the Burren. This area of limestone rock encompasses imposing majestic mountains and tranquil valleys with gentle meandering streams. Take in your surroundings as your wander through this stunning area, home to breath-taking natural flora and fauna; as well as man made megalithic tombs, which predate the Egyptians. There you’ll stand, side by side, in this hidden, but unique corner of the world, feeling the same over-powering awe that others have felt for centuries before. As you traverse the Burren, keep an eye out for flat-topped dolmens. These ancient structures have truly stood the test of time but some hold even more secrets that have been forever etched in Irish legend. The tale of Diarmuid and Gráinne is one that rivals even that of the epic Romeo and Juliet – two lovers whose destiny was forever doomed. Gráinne was to wed Fionna Mac Cool (one of Ireland’s greatest warriors), but she had fallen for one of his soldiers, Diarmuid. The couple fled and took to hiding around Ireland as Fionn and his men pursued them. In nooks, crannies and caves the couple lay together night after night as they edged closer to their doom – a face off with a wild beast that would slay Diarmuid. Diarmuid and Gráinne’s “beds” are scattered all around the island of Ireland. Some say that there is one for every day of the year and that those dolmens are the very same resting places that the lovers shared. Within this vast region you’ll also find Aillwee Cave. Nestled in the mountainside with the perfect vantage point for spectacular views of Galway Bay, this cave is full of beauty of and wonder. An expert guide will introduce you to these stunning caverns and everything that makes it such an intimate experience. Take a break from the Burren’s magnificent scenery and drop into the Burren Smokehouse. The locals who run the smokehouse and visitor centre have a passion for their fantastic stock of local gourmet products and crafts. Indulge in a taste of their delicious smoked salmon and maybe even pick up a few reminders of your first day in Ireland together. While you’re in the vicinity, make sure to drop into Lisdoonvarna, where Ireland’s famous Match-Making Festival is held. Every year, during the month of September, singles flock to the spa town of Lisdoonvarna in the hopes of finding their soul mate. And even though you may have already found yours, there’s still fun to be had if you’re visiting during the festival month. It’s all about the love after all and besides it’s also a great spot to stop off as you make your way around Clare. edge is something, which is best not experienced alone. The sheer scale of the hulking cliff side and the views which accompany it are entrancing. Embrace the serenity of the cliffs and spare a thought for Óisín and Niamh – two doomed lovers from Irish folklore who travelled to the magical island of Tír na nÓige (the Land of the Young), which is said to lie hidden far off the west coast of Ireland. That evening head you can head to Bunratty for some entertainment before you settle into your accommodation. You’ll find two fantastic albeit very different options here with the Bunratty Castle Banquet and Durty Nelly’s. Set in the Earl of Thomond’s 15th castle, the banquet serves up a sumptuous slice of hospitality the likes of which the Earl was famed for. Your four course candlelit meal will be accompanied by music and song from the resident medieval entertainers making this a truly unforgettable experience. Durty Nelly’s on the other hand is one of Ireland’s most famous pubs, well known for its character, history and brilliant atmosphere. Choose from their extensive and mouth-watering menus at The Bar, The Loft or the Oyster Restaurants. For a post-dessert treat, check out one of Durty Nelly’s live traditional Irish music sessions and if you really want to get hands on, jump behind the bar and pull your own pint of Guinness. Your first day in Ireland will be coming to a close, but the adventure has just begun. You won’t have far to go to find your bed that night as you’ll be staying in Bunratty so rest your heads, kiss goodnight and dream of the wonders to come. A steaming full Irish breakfast awaits you upon waking – Ireland’s favourite morning pick me up and the perfect fuel for exploring. Hopping into your car and setting off on the road to Cashel, County Tipperary, you’ll soon realise that getting from A to B in Ireland can sometimes be just as captivating as when you arrive at your destination. More often than not you’ll have two routes at your disposal: the direct and swifter approach or the non-direct, more scenic way. Ireland is a relatively small island so you’ll never be on the road for too long, but it’s always best to take the road less travelled. Besides the stunning landscapes which go hand in hand with this option, there’s also the possibility of the unexpected – an impromptu pit stop in a peaceful rural village or pulling up in a secluded spot and just watching the world stand still around you. The majority of your day will be taken up with exploring Cashel and its surrounding areas. The town is famous for The Rock of Cashel (more formally know as St. Patrick’s Rock) - stunning and magnificent structure, which has been forever linked with the high kings of Munster. You can wander around at your own pace taking the Town Trail, ensuring you get to see every single one of Cashel’s fantastic attractions. Along the trail you’ll find the 15th Century Kearney’s Castle, the extensive book collection of Bolton Library, the heart shaped medieval City Wall and a Folk Village containing an assortment of artefacts as well as reconstructed thatched cottages harking back to times gone by in Cashel. If you’re feeling peckish Cashel has a fine selection of restaurants and cafes, so whether you’re just looking for a snack or something a bit more substantial you’re sure to find somewhere that suits your taste. Chez Hans is a fantastic little spot. The restaurant is set in a converted church and the superb food and décor are perfectly matched. Drop into the Cashel Heritage Centre for a spot of retail therapy and to pick up a reminder of your visit to Cashel. Their craft shop sells a whole variety of trinkets or pop into the Cashel Woollen Mills and snuggle up in matching sweaters. A short trip from Cashel town will bring you to Glengarra Wood – the perfect setting for a quiet walk. Follow the Burncourt River down through the forest, admire the rich red sandstone, which speckles the earth, or gaze at the majestic Californian Redwoods in these serene surroundings. From here, you’ll be talking a slight detour but one that will be well worth it to Ireland’s medieval capital - Kilkenny city.Historic buildings lie in wait around every corner and culture thrives through the many artisans’ workshops operating from the city.The Kilkenny Design Craft Centre stocks an impressive array of Irish handcrafted gifts. The centre also prides itself on showcasing emerging talent from the Irish craft world, proving that the creativeness of the Irish nation has never waned. You’ll find the centre right beside Kilkenny Castle, in the building which once acted as the stables for this medieval monument. The majestic Kilkenny Castle is the city’s crowning glory. Let the 18 centuries worth of history wash over you as you drift back to a time when the halls of this monument hosted grand banquets, and set the scene for medieval romances. The Smithwick’s Brewery Tour in St. Francis Abbey Brewery is another highlight in this exciting and varied city, where you can enjoy the perfect blend of historical wonders and new age creativity. If some relaxation is needed, then head to Kilfane Glen and Waterfalls. You’ll find this serene retreat just outside the city of Kilkenny so allow yourself to unravel a little as time stands still in this 18th Century romantic era garden. There’s one last stop off before you reach Waterford. New Ross - “the heartbeat of the southeast” - will sweep you off you feet and leave you swaying shoulder to shoulder against its cool coastal breeze. As you wander along and beautiful walks in this port town, you’ll find a number of fantastic attractions from Hook Head Lighthouse (thought to be one of the oldest operational lighthouses in the world) to Dunbrody Famine Ship (a reconstruction of the famous famine ship, which now lies docked in New Ross’ Quays). The “heartbeat of the east” never ceases to inspire its visitors hearts to flutter and maybe you’ll be enticed to prolong your journey to Waterford a little longer with a bite to eat at one of New Ross’ sumptuous restaurants. With your camera already brimming with memories of Cashel and Kilkenny it’s time to get back on the road and head south to Waterford City. Tomorrow you’ll have an entire day to explore this fantastic city, but for now, a quiet pint in one of its charming pubs or a stroll along the beautiful coastline should be just the thing to send you on your way to sleep that night. Waterford city is Ireland’s oldest city and dates back to 914 AD. On your visit you can discover its rich heritage ties and illustrious links with the Vikings. The city is home to many sites from the story of Strongbow and Aoife, whose arranged marriage evolved into one of Ireland’s greatest romances, changing the course of history forever. And of course, no trip to Waterford would be complete without a visit to the House of Waterford Crystal – the stunning and opulent craft pieces, which have become synonymous with the city. The coveted fine crystal glassware, which was once produced at the Waterford Crystal factory is world renowned for its intricate detail and elegant design. The business’ origins date back to 1783. Today visitors are treated to a tour of the factory taking you through the entire process undertaken by these skilled craftsmen that results in the exceptional pieces, which are so loved the world over. Another of Waterford’s trademark structures is Reginald’s Tower, located at the eastern end of Waterford’s quays. This round tower was the setting where Strongbow and Aoife first laid eyes on each other and now is home to a superb Viking exhibition complete with historical and archaeological artefacts, which tell the story of Waterford’s heritage. Taking a stroll down Waterford’s quays you can enjoy the stunning views and imagine the bustle of the cargo ships which once docked at the port. Next onto Christ Church Cathedral where the story of Strongbow and Aoife continues. Dating back to the 11th Century, this magnificent structure boasts a blend of intricate baroque plasterwork and neo-classical Georgian architecture. At this magical site, on August 25th 1170, Strongbow and Aoife exchanged wedding vows, thus marking the birth of a new Ireland. From a historical romance to the romance of nature, take an afternoon trip to Waterford’s largest and finest park – The People’s Park. Bring a picnic and enjoy the fresh open air or pose for a picture in the park’s beautiful Victorian Bandstand. This pristine park is the perfect setting for taking a break and enjoying each others company, before you hit the road again. Next up on your route as you journey west to Cork is Lismore. This picturesque heritage town is roughly an hour drive from Waterford City. You’ll find streets lined with traditional shop fronts and vibrant flower boxes decorating the streets – a testament to the proud locals. Among the town’s highlights are St. Carthages Cathedral and Lismore Castle. The Cathedral is named after the saint who founded a monastery on this very site in 636 AD. Located atop a hill and surrounded by beautiful foliage, this fantastic site is a must see for any visitor to Lismore. A short stroll away you’ll find Lismore Castle. Built in 1172 by Prince John of England and recently renovated, visitors are welcome to explore the gardens of this fantastic estate. Time will drift by as you bask in the quiet calm of these lovingly cultivated gardens with spectacular views. The west wing of the castle is also home to Lismore Castle Arts – a gallery space, which regularly hosts contemporary art exhibitions. A visit to Lismore’s Heritage centre will give you an insight into the history of the town along with information on the various walking trails available on which you can discover the charm of this quaint town. It’s easy to lose yourself as the hours while away in Lismore - a hidden gem in Ireland’s south. From here you’ll be taking a short trip further west and settling down in Cork for the night. You’ll need plenty of sleep to make sure you’re ready for the exciting day ahead, as you explore Ireland’s second capital. After a refreshing nights sleep it’s time to get out and about in Cork. First up is Blarney castle. Here you’ll find your first true Irish kiss, although it may not be quite what you expect. As the tradition goes, those who kiss the Blarney Stone will be endowed with the gift of the gab or the gift of eloquence. Once you’ve stolen a smooch from the stone, take a walk through the beautiful Rock Close and gardens. From the top of the castle, you’ll be treated to wonderful views of over 60 acres of sprawling parklands, which include gardens, avenues, arboretums and waterways. Blarney is also well known for its woollen mills. Now Ireland’s largest gift store, Blarney Woollen Mills stocks the best of the best in quality Irish gifts from Waterford Crystal, Belleek China and Aran Sweaters to Celtic Jewellery; and Irish linen and lace. It’s the perfect one stop shop for all things Irish so if you’ve been looking for somewhere to stock up on souvenirs, now is your chance. Your next stop is Cork City, pride of the Rebel County. You’ll be greeted with a friendly smile around every corner in this bustling city. The city itself boasts some of the finest architecture in Ireland, but its allure is enhanced even more so by the charming locals. Visitor favourites include the 300 year old tower of St. Anne’s Church (where the Shandon bells reside) and St. Finbarr’s Cathedral. Another of the city’s fine historic monuments is Cork City Gaol. This castle like structure once acted as a prison in the 19th Century and today houses a heritage centre, taking you back through time and unravelling the story behind this intriguing structure. You’ll also find the Radio Museum here, which is home to various restored studio equipment as well as archived materials from Ireland’s national broadcaster. If you’d prefer to get out in the open, the Fota Wildlife Park might be just the thing for you. Located in Cork harbour and a mere fifteen minute drive outside the city, this attraction is well worth the short trip. No two trips to Fota are the same. Free roaming animals populate the park and are sure to surprise, thrill and bring a smile to your face. The park is also home to some highly endangered species such as the European bison. As it gets later take a trip down to the seaside towns of Kinsale and Cobh. When it comes to gourmet dining you can’t go wrong with these two. Both are easily reached from Cork City in roughly half an hour by car, but rest assured whichever you choose you’ll be in for an evening of quality seafood or the finest of local cuisines with a plethora of restaurants to make your choice even harder. No matter where get your table for two, you’ll never be too far from the seaside, so an after dinner promenade is essential. As a curtain of black descends upon the horizon and the gentle lapping of waves soothes your mind, you’ll discover once again the magical romance of Ireland. Then it’s back to your accommodation in Cork for another peaceful Irish night. 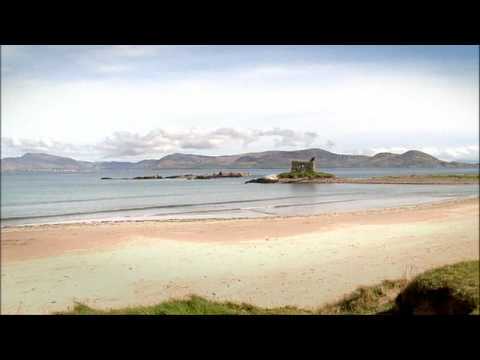 Today you will be seeing some of the most amazing scenery in Ireland. Your destination: the Ring of Kerry (also known as the Iveragh Peninsula).This area is famed for its stunning views and the sheer amount of attractions that you’ll find located all within this single scenic drive. You’ll want to fit in as much as possible, but not to worry - you’ll be staying in Kerry for two full days so dedicating a day to the ring is always advisable. The sheer scale and wonder of the Ring of Kerry make this one of the most magical and intimate places in Ireland. The more you explore the more you will come to understand why this wondrous place inspires so many. The verses of countless love poems echo on the wind as you take your time finding the hidden essence of the Iveragh Peninsula. Journey to Moll’s Gap and gaze upon the majestic MacGillycuddy’s Reeks (Ireland’s talent mountain range). Stare out from Ladies View as the infinite horizon runs into the distance. Or make a visit to Rossbeigh’s golden sands, a beach with immersive surrounding panoramic views. As you head towards the Gap of Dunloe you’ll see a picturesque cottage adorned with the name Kate Kearney. Kate Kearney’s Cottage was where the legendary Irish beauty of the same name once lived. Here you can switch to the preferred mode of transport for exploring the gap of Dunloe – a pony and trap. A traditional trip like this is always a treat and makes the fairy-tale experience of the Ring of Kerry all the more exciting. Later on in the day if you find yourself hankering for some tradition Irish food and music, you can’t go wrong with Kate’s. This fantastic venue does its very best to keep her spirit alive with dancers and musicians that compliment their superb traditional grub. Muckross House and Gardens is definitely worth a peek during your visit to the park. This restored Victorian house dates back to 1843 and is comprised a massive 65 rooms. A walk around the estate’s gardens will reveal a sunken garden, stream garden, Arboretum and much more. Summer visitors are in for a colourful treat as blossoming red and pink Rhododendrons accentuate the sophisticated charm of the gardens. After a long day delving into the many treasures of the Ring of Kerry, drop by the nearby town of Kenmare (“The Jewel on the Ring of Kerry”). Strolling along the pathways of this heritage town you’ll find colourful craft shops and over 30 restaurants lining the streets tempting you with their very own local produce. It’s a beautiful little spot and the perfect place to wind down that evening before heading back to Killarney and snuggling up at your accommodation. Step out into the fresh morning air, stretch your arms and say good morning to Kerry. It’s off to see the Dingle Peninsula and Tralee today. Setting out on the road, it will take roughly an hour to get to Dingle, but this stunning coastal drive will fly by with so much to admire along the way. The Dingle Peninsula is a mass of land, stretching for about 48 km (30 mi) that juts out into the Atlantic Ocean. The mountain range of Slieve Mish, along with Ireland’s second highest peak - Mount Brandon - line the spine of this peninsula and its coast is made up of fantastic cliffs and beaches. As well as the obvious natural beauty of this area, you’ll also find a number of intriguing man-made monuments. Dunbeg Fort, which dates back to the Iron Age is an elaborate and impressive stone structure built at the very edge of a sheer cliff face. The Gallarus Oratory on the other hand is a church, which is thought to have been built between the 6th and 10th Centuries. It was built with absolute precision with stones stacked delicately atop each other, without any mortar, but yet achieving a watertight structure. Taking the Slea Head drive you can get up close with the most rugged and natural scenery in Dingle. The stunning views along this circular drive include Inishtooskert, the most northern of the Blasket Islands off the coast of Kerry. Also know as “the Sleeping Giant” looking out at this great island, past Kerry’s Coastline is truly a magnificent experience. Following the drive will bring you around full circle and back to Dingle town. No trip to the Dingle peninsula would be complete without a visit to Fungi – the much loved Dolphin who roams the waters near Dingle’s coast. Since 1984 Fungi has been befriending fishermen, surfers and swimmers alike. Boat trips are available if you’re interested in getting up close and personal with the friendly dolphin or you could take a trip up Ballymacadoyle Hill and admire the wonderful views from afar. If the weather is not to chilly then indulge yourselves with Killarney’s famous Murphy’s Ice Cream. Established by brothers Sean and Kieran in 2000 you can try some of the weird and wonderful flavours, which make their ice creams truly special. The brothers are constantly playing with flavours to come up with new and interested combinations so you’re sure to find something new to tickle your taste buds. Dingle is a truly wondrous place and you may even find yourself grabbing a spot of lunch or pattering around the streets before getting back on the road and heading to Tralee. Tralee is probably most famous for the Rose of Tralee festival, which is held here annually. This landmark event is a celebration of all things Irish with “Roses” from the world over coming home to show their roots and their pride. Although this festival may only come once a year, the sentiment of the gathering – that of cultural pride – is kept alive all year round by Siamsa Tíre. Based in Kerry, Siamsa Tíre is Ireland’s National Folk Theatre. Their performances draw from every aspect of traditional Irish culture, using language, music, song and dance to tell their story. Make sure that you take the Tralee Heritage trail to ensure that you see absolutely everything in the town. This tour will bring you to all the main areas of interest in this truly wonderful locale, hidden away in the south-west of Ireland. Finally it’s time to settle down for your second and last night in Kerry. It’s been quite a journey so far and you’re not quite done yet. Close your eyes, drift away and dream of the final stretch of your adventure. Today as you make your way back to Clare, you’re in for a treat as your route will take you to Adare – hailed as Ireland’s prettiest village. The thatched roof cottages and vibrant greens, which line the streets of Adare are a welcome reminder of a more traditional Ireland. The Adare Heritage Centre is the perfect place to start your trip of this peaceful village and the surrounding area. The friendly and knowledgeable staff are always there to lend a helping hand and the fantastic exhibition housed within the heritage centre, will take you on a journey through the village’s captivating past. Adare encapsulates the very essence of rural Ireland. As if somehow frozen in time, it has the look and feel of an era long gone by - a breath of fresh air and the ideal setting for a bite to eat before pushing further north towards Limerick City. The Blue Door Restaurant makes for one of Ireland’s most romantic dinner settings, housed within a converted cottage, the Blue Door’s menu is always worth a look. Journeying outside of Adare, you’ll find Curraghchase forest park, which is located just 4km (2.5 mi) outside of village. Relax by the lakes of this woodland estate, and let the soothing lapping of their waters help you drift into bliss. There are a variety of walks and trails available so you can take in the sites and sounds of the park, suitable for both walkers and cyclists. Edging ever closer to Clare and towards the end of your journey, it’s time to explore Limerick City at the mouth of the River Shannon. In the heart of this city, set on an island, you’ll find Limerick’s most famous monument: King John’s Castle. This sensational 13th Century structure is open to the public and through a variety of exhibitions and tours the castle’s history is brought to life. King John (once “Lord of Ireland”) used this building for minting his own coins and today visitors can receive their very own souvenir coin as a reminder of their visit. The city of Limerick itself is a wonderful blend of the old and the new. Georgian streetscapes mix harmoniously with more contemporary buildings but without losing any of the charm of the city. The newly completed boardwalk has been welcomed by all as it offers tremendous views of the north bank of the River Shannon., whilst the marina takes in views of the south bank. One of its most culturally significant sites is the Hunt Museum. This veritable treasure trove of art and antiques spans the Neolithic age right up until the 20th Century. The artefacts come from a variety of civilisations including the Greeks, Romans and Egyptians, and alongside these intriguing pieces you’ll find works of art by the likes of Renoir, Picasso and Yeats. Limerick City is full of attractions, busy retail streets and friendly faces, so your last full day in Ireland is sure to fly by. That night it’s onto Clare for your accommodation and your last night in Ireland. The fond memories, which you have collected along your tour of Ireland will stay with you forever. Sharing an experience like this can only strengthen the bond between two people and the sights and sounds of Ireland, which you’ve enjoyed together will be a constant link and reminder of your love. It’s time to board the plane and leave Ireland behind, but know that its spirit will live on in your hearts for the rest of your days.